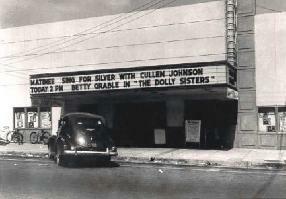 #TBT – Today we are throwing back to 1942, and what was then the Colony Theatre in Raleigh’s Five Points neighborhood. The building was constructed in 1936, and was originally an A&P Grocery Store. In 1942, it was converted to a movie theater. After renovations in 1983, it became known as the Rialto Theater. Happy Thursday!